RSS (Really Simple Syndication) is an XML-based format for sharing and distributing web content, such as news headlines. Using an RSS reader, you can subscribe to receive summaries of late-breaking news and Action Alerts from FRC. Each summary includes a link to the full article on the FRC website. How to view FRC's RSS feed? 1. Copy the URL/shortcut that corresponds to the subscription that interests you. 2. Follow the instructions for adding the feed to your "My Yahoo!" page. There are many free RSS readers. Click here for a Lifehacker.com's listing of the best RSS Readers. Podcasting is the publishing of media files so that they are available for download. A typical podcast is not unlike an RSS feed, except that you listen to the feed rather than read it. Using one of the many free podcast aggregators or readers you can listen to podcasts on any MP3 player, not just Apple models. 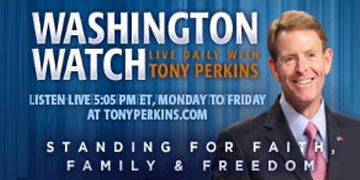 FRC currently provides a podcast feed of our Washington Watch Weekly radio program.